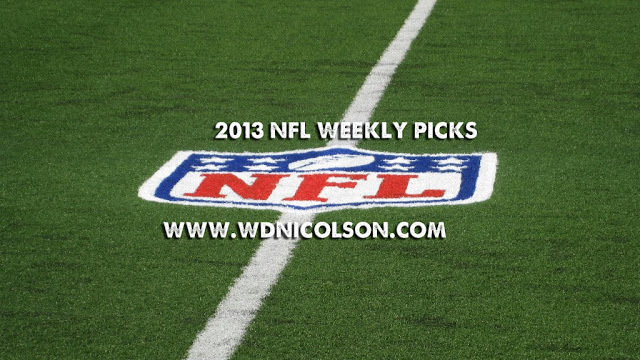 WEEKLY RECAP: Week 6 was a resounding success - going 12-3 in Head to Head and a respectable 8-7 with the spread. Are we back? Let's find out in Week 7. H2H UPSETS PICKED: Went with 3 Upsets in Week 6 and got 2 of them - Pittsburgh at NY Jets and San Diego at home to Indianapolis. Missed on Baltimore at home with Green Bay getting home 19-17. So 2 from 3 Correct (per Pick'Em favourite/underdog listing). H2H LESSONS LEARNED: Finally got off the NY Giants train... they might win 4 of their next 5 but it felt good to take Chicago with some confidence last Friday. Minnesota were bad at home dropping a 35-10 game to Carolina who aren't much better despite the scoreline... Kansas City keep on winning and it took Tom Brady magic to beat the Saints. St Louis over Houston confirms that the Rams are unreliable, while the Texans are ordinary at the moment and their QB (who has been ordinary) got hurt... Other than that - San Diego continue to be good every other week and a few other teams continue to do just enough to keep winning games they should. Week 7 begins with Seattle visiting Arizona on Friday Morning Australian time, after a 12-3 H2H week - dare we dream for a perfecto? TNF: Seattle over Arizona; Sunday: Atlanta over Tampa Bay, Cincinnati+ over Detroit, Miami over Buffalo, New England over NY Jets, Dallas+ over Philadelphia, Washington over Chicago, Carolina over St Louis, San Diego over Jacksonville, San Francisco over Tennessee, Green Bay over Cleveland, Kansas City over Houston, Baltimore+ over Pittsburgh; SNF: Denver over Indianapolis, MNF: NY Giants over Minnesota. Quick Notes: Give Chicago, St Louis, Houston and even Jacksonville hope this weekend... but going with the head pick over the gut pick on a few here. Surely Eli Manning doesn't lose at home to Josh 'I've been a Viking 7 days' Freeman? Seattle -6.5, Atlanta -7.0, Cincinnati +2.5, Miami -8.5, New England -4.0, Dallas +2.5, Washington -1.0, Carolina -6.0, San Diego -7.5, San Francisco -4.0, Green Bay -10.0, Houston +6.5, Baltimore +1.5, Denver -6.5, NY Giants -3.5.